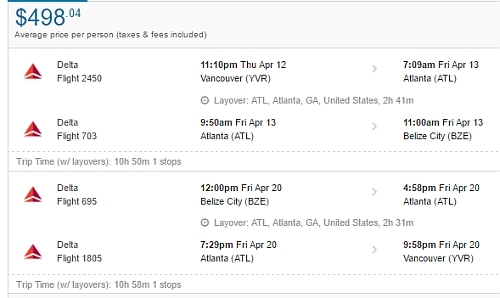 Delta is showing a few flights in April from Vancouver to Belize for $498 CAD roundtrip including taxes. The flights have 1 stop each way, in Atlanta, for 2.5 hours. Flights to Belize have been pretty expensive for a while now. This is around 40% cheaper than the typical best prices for a relatively fast flight. 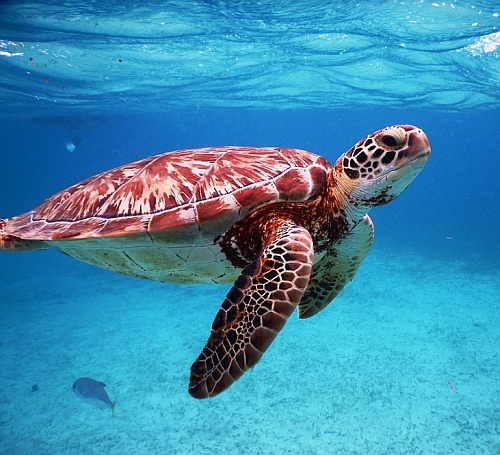 vancouver, yvr, flight deals, central america, delta, bze and belize city.